Wisdom of Life. : Is there a school for marriage? I was driving into this township, where I noticed all shops and even residential homes are converted into wedding parlours. They are beautifully decorated with dresses of the bride and groom. Even my little darling who saw it, was attracted to them. I was sure, she was dreaming to get marry again, when she could have the chance to wear those latest fashionable dresses. Yes! There are many wedding or marriage parlours to cater and arrange for new couples who have intention to get marry. You just pay and the parlours would do the rest to cater your needs according to your wedding budget. So to get marry is easy. However to stay and maintain a good marriage is uncertain. Sometimes I wonder, why there is no wedding or marriage institution to teach and educate couples first before getting marry. Rather, all who want to get marry spend so lavishly first but not knowing what is the responsibility to being getting marry. After all to be husband and wife, they have different roles to play in life. To be good friends and lovers are much easier but to be a married couple, they have to experience to understand. The only school for marriage is from the Catholic Church. Although I am not a Catholic, I know a Catholic cannot seek for divorce once he/she is married. 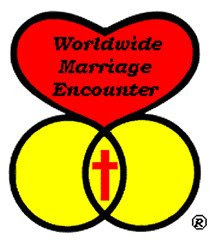 So when a couple who intends to get marry in their Church, the Father always insists a marriage encounter first. Is a programme that last a few weeks, when the soon to be married couple has to attend the briefing and teaching of life as being a husband and wife. The man should understand his responsibility to her and the woman knows how to love the man. Making sure the couple would not fail in their marriage lives together later. However this school of marriage teaching is not opened to the outside world. Perhaps there should be a wedding school that comes along with the wedding parlour. Then, there will be lesser misunderstanding of man and woman in this world. Food for the heart - "Love is an act of endless forgiveness, a tender look which becomes a habit" - Peter Ustinov.